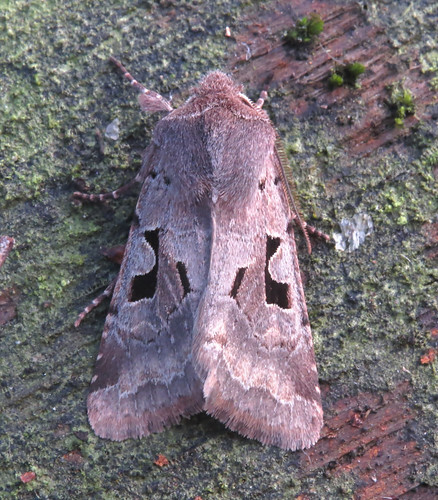 The mild conditions of January have ensured a successful moth recording period at Tophill Low NR, East Yorkshire. The highlight of the month was this Ypsolopha ustella found on the 23rd, photographed by Doug Fairweather. 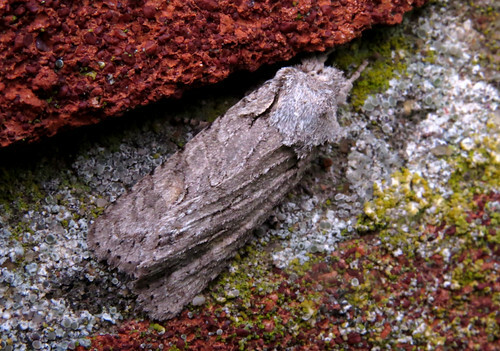 The species has only been recorded on 13 occasions in VC61 up until the end of 2014 (per Yorkshire Moths), with only 247 county records since it was first noted in Yorkshire in 1859. Searching for moths away from light proved fruitful, with the larvae of Common Swift Korscheltellus lupulina noted on the 2nd and a Grey Shoulder-Knot Lithophane ornitopus on the 9th, the same date that the fifth Parsnip Moth Depressaria radiella was recorded on site. Once again, the period has provided good numbers of Acrolepia autumnitella and many other micros. 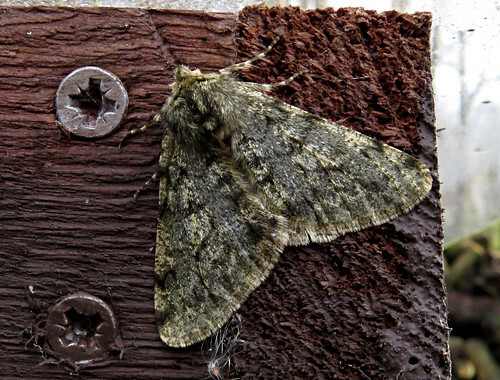 Light trapping became much more productive later in the month, with Pale Brindled Beauty Phigalia pilosaria on the 22nd and Hebrew Character Orthosia gothica added to the year list on the 29th. 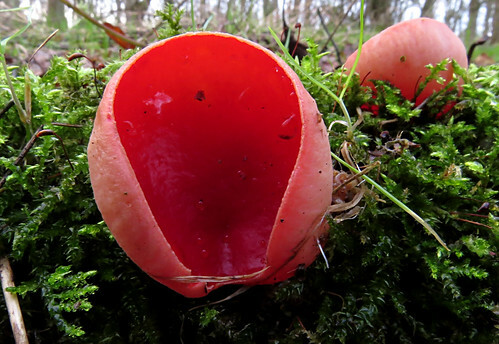 January fungi means only one thing – the stunning spread of Scarlet Elf Cup Sarcoscypha coccinea – a true winter delight. Other assorted species noted included Common Inkcap Coprinopsis atramentaria and Phlebia cornea. After a good start to the year gull wise, January ended up being quite uninteresting for laridae. Single Mediterranean Gull Ichthyaetus melanocephalus were noted on the 9th and a near summer-plumaged adult appeared in the roost on the 31st, with a Caspian x Herring Gull hybrid – ‘cachitatus‘ – showing on the former date. For the latest news from Tophill Low NR, check out the official website.